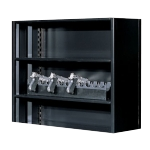 Spacesaver Gun Lockers keep weapons and ammo out of sight. 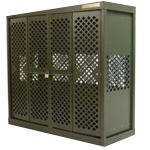 Floor mounted gun lockers from Spacesaver can be easily configured to store any combination of handguns, shotguns and rifles. 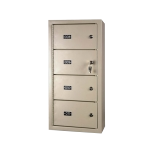 A virtually limitless number of openings. 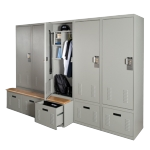 Choose from handgun-only storage systems and lockers that securely and efficiently store a combination of handgun and long guns. 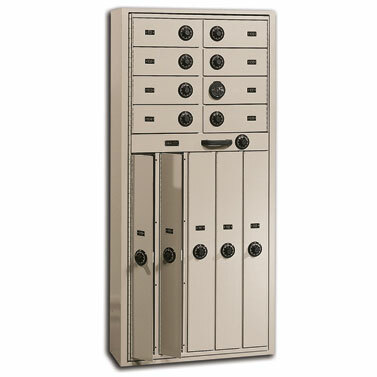 A full-size, heavy-duty main front door opens with a master key to facilitate visual inspections, weapons inventory and maintenance. 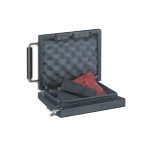 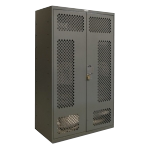 Round out the storage system with cabinets designed to securely store ammunition and any number of accessories.